WILLEMSTAD - The Curaçao Heritage Platform, consisting of Stichting Monumentenfonds Curacao, Stichting Monumentenzorg Curacao and Stadsherstel, have joined forces to host the 3rd Caribbean Conference of national trusts and preservation societies in Willemstad Curacao in November 2017. This 3-day conference will take place from November 16th until November 19th at the Curaçao Renaissance Resort. 2017 marks the year in which Curacao’s capital Willemstad is celebrating its 20-year anniversary as a UNESCO world heritage site. We would like to invite everyone who is interested in the conservation and future of national heritage, to join this engaging event, where relevant and compelling topics related to heritage re-use and preservation will be explored. We will be diving into the area of underwater and maritime heritage and its impact on societies. Challenging topics, such as the matter of heritage financing will be thoroughly examined. Looking at the importance of branding and marketing of heritage, we will be discussing the practices related to the improvement of awareness and appreciation of national heritage. Because the only way is forward, we must carefully consider the adaptive re-use of built heritage, the closing theme of this conference. We have invited bright experts as keynote speakers to discuss each of the 4 topics marked as subject areas for this conference. Besides compelling keynotes, we will be having panel discussions and a broad array of activities related to the conference. For details about these topics, keynote speakers, the full program, registration and accommodation we invite you to visit www.curacaoheritage.com or write to hello@curacaoheritage.com. The Caribbean island of Curaçao is part of the Lesser Antilles and is located in the south of the Caribbean, close to the northern coast of South America. Conscious of the importance of the conservation of historic Willemstad, in 1988 efforts were initiated to have the historical city become part of the World Heritage list of UNESCO. Restoration and conservation of the monumental buildings, was also a necessity for the revitalization of the city. After years or relentless effort, the historical area of Willemstad and the Curacao harbor were awarded the World Heritage status in December 1997. Marking an important moment, because this meant that the universal value of Willemstad was recognized. Curaçao harbors 860 protected monuments including several historical and archaeological sites. Various country estates dating from the 17th to the 19th century, often set in a superb natural environment, are spread over the island. Together with the many colorful traditional rural houses dispersed over the island, these plantation complexes locally called landhuizen or plantation houses are a distinctive mark on the cultural landscape of Curaçao. Visiting these impressive estates, make for a wonderful trip since it can be combined with a visit to the nearby pristine beaches and local culinary outings. 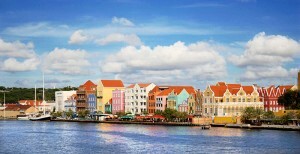 The city of Willemstad and the historical harbor of Curaçao have been part of the UNESCO world heritage list since 1997. The city alone bears more than 700 listed monuments, consisting of a colorful blend of historical mansions, shops, townhouses and a broad array of small urban villages. Willemstad has four authentic districts known as Punda, Otrabanda, Pietermaai and Scharloo dating from the 17th to the 19th century. Each district has its own authentic character and specific traits, offering a variety of worthwhile sites to visit. Pietermaai is well known for the broad diversity of restaurants and charming cafes and the more artsy Scharloo harbors Curacao’s creative city. Punda and Otrabanda mix shopping and easygoing lunching and dining, all set in the midst of the historical buildings in the brightest of colors. Punda and Otrabanda are connected by a floating bridge. With its rich architectural history and the cultural diversity, which has influenced the island in the course of the centuries, Willemstad is a delightful site to experience.